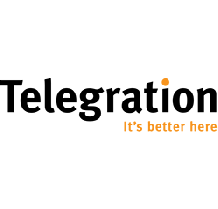 Telegration is a leading Technology Services Advisor providing a comprehensive range of voice, internet, long distance, mobility, cable, data, cloud, hosted PBX and managed IT services. For 27 years, Telegration has been committed to the advancement of the industries sales community, solution providers, and customers. As an advisor, ensuring that customers make the best decisions for their businesses is Telegration’s top priority. Experienced customer success teams utilize proven, unbiased processes to build strategic solutions with the newest era of next-generation technology. It's Better Here because in addition to very competitive rates on all services, Telegration offers flexible plans, service guarantees and always exceptional customer service. Learn quickly how to submit and process new deals with Telegration. 8	jplist-folder-All-Posts-355 jplist-folder-Agent-Resources-19889 jplist-folder-All-Posts-355 User-Guide-User-Guide	jplist-topic-New-Agent jplist-topic-Quickstart	0	07/11/2018 10:06:27	Learn quickly how to submit and process new deals with Telegration. 38	jplist-folder-All-Posts-355 jplist-folder-All-Posts-355 Product-Literature-Product-Literature	jplist-topic-commissions jplist-topic-Accessing jplist-topic-Statements jplist-topic-Commission-Statements	0	12/03/2015 12:33:52	Telegration would like to make accessing your commission statements easier than ever before! All statements will be uploaded to the Convey platform, where you will have the ability to download and view it and previous commission statements at anytime.